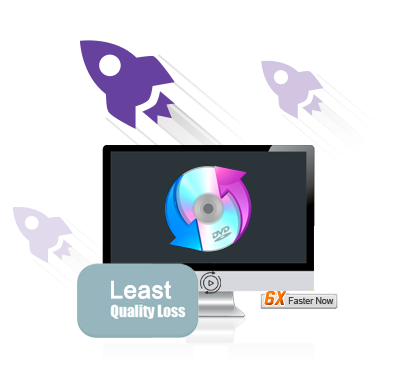 Convert DVD to 250+ formats with 6X faster speed and 100% original quality. Why Choose EaseFab DVD Ripper? EaseFab DVD Ripper is the top choice for DVD ripping and copying thanks to its fast ripping times, high-quality conversions and abundant optimization choices. The program's interface is easy enough for anyone to learn to use, regardless of their computer skills. What's more, EaseFab provides timely and excellent customer support service, including lifetime free upgrade of product and technical support. Once you get it, DVD movie enjoyment can't be more simpler than ever. Convert your DVD files to online video sites supported formats: YouTube, Vimeo, Facebook, FLV, SWF, F4V, WebM. 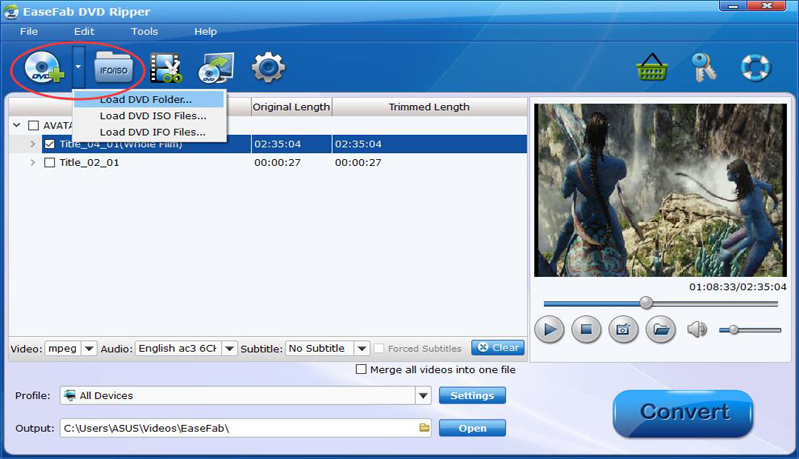 Also, this best Blu-ray Ripper can extract audio clips from discs, capture subtitles, add external subtitles and more. Encrypted DVD that protected by CSS, Region or some other DVD protection. Note: Please make sure that all the DVD ripping are just for personal use. Optimized for NVIDIA® CUDA™, AMD®, etc. technologies, EaseFab DVD Ripper ensures accelerated video decoding/encoding on a CUDA-enabled graphics card, leaving more of your CPU available to handle other applications. That means EaseFab DVD Ripper has six-time-faster standard and high-definition video conversion, higher quality, and smoother playback for all video. Now it's no trouble at all to convert DVD movies. 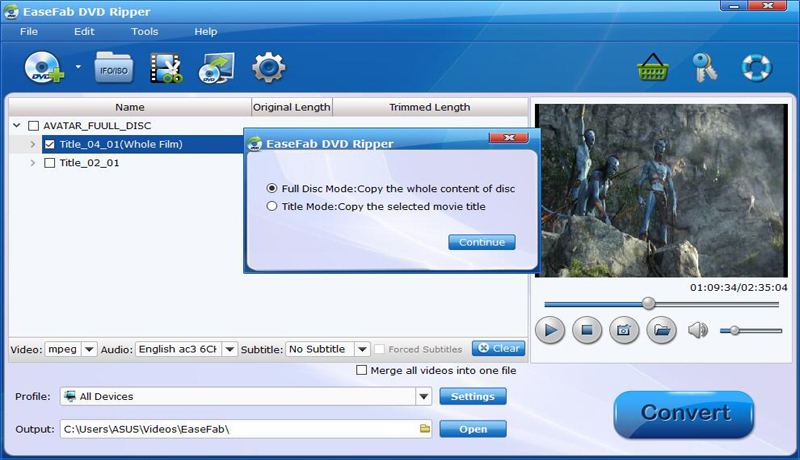 EaseFab DVD Ripper can be also used an exciting DVD copy software. It will help you easily back up any commercial DVD movies without any troubles. Two different copy modes: Title Mode and Full Disc Mode are provided to let you copy the exact movie part you want. 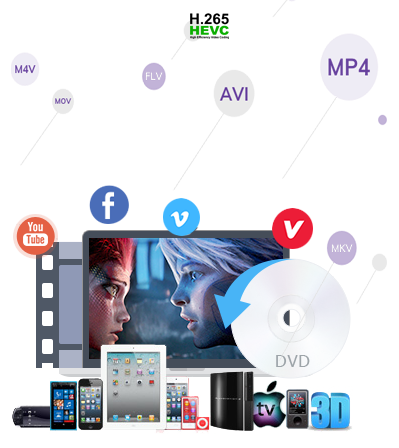 With it, you can effortlessly keep your DVD discs from scratched, damaged, or manage your movies in more convenient way! 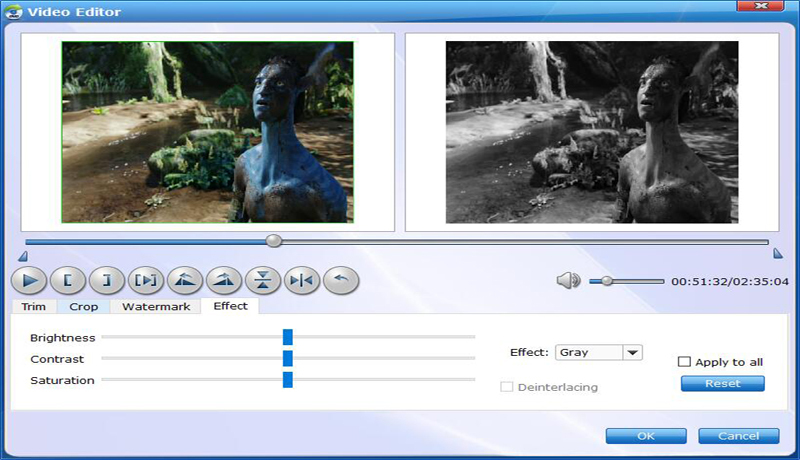 You can customize DVD movies through advanced editing features and get professional-looking works in minutes. Only with a few simple clicks to finish DVD ripping. Adjust output video resolution, frame rate, bit rate and more. Take a screenshots to save your favorite scene. Convert/Rip DVD: 3 steps: Import DVD Files >> Set output format/location >> Convert DVD. Backup/Copy DVD: Two different copy modes: Title Mode and Full Disc Mode are provided to let you copy the exact movie part you want. Edit DVD Files: Click the "Edit" button on the menu to get video editing window. Then you can go to different tabs to trim, crop, rotate video or add effects/watermarks.